We are programmed to focus more on the negative than the positive. This allowed us to avoid danger and humans to prosper. In modern times our stresses are generally less about safety, so where does that leave us? Joining us today is Ben’s favorite author, Dr. Rick Hanson to discuss how we can train our neurochemistry to go against what nature intended. 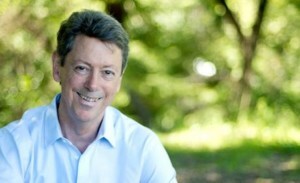 Dr. Hanson is the author of Buddha’s Brain and Resilient to name a couple. Today he teaches us how focusing on positivity and gratitude can help us overcome our negativity bias, reduce cortisol and change our brain neurochemistry to live a positive stress-free life in modern times. Overcoming your natural negative bias to live a life of positivity and gratitude. Why compassion and empathy are the key to living a great life with great relationships. Gratitude, the key to an amazing life? Deficit vs abundance mindset how to change your neurochemistry. 4:30- Changing your negative default. Why you are hardwired to focus on the negative and how you can overcome that bias. 10:30- Step one to letting go. Take action on what you perceive is the negative in your life. Step 2- Don’t marinate in the negative. Focusing on the negative will internalize the feeling. Step 3- Exercise gives you a healthy outlet to relieve stress and reduce cortisol.Step 4- Register and acknowledge positive moments with gratitude. 17:45- Spending time with positive emotions. Only you can control your inner emotions. 22:15- Why do we avoid celebrating the good but always address the bad. 25:00- Using the internal sensation of breathing to access your parasympathetic CNS. 27:00- How tuning into your internal body can help you tune into others. 28:00- How deficit labeling shapes our reality and outcomes. 35:30- Compassion is key, why you can’t live a great life without intrapersonal courage. 43:45- Empowerment through action. How you can find empowerment though changing your circumstances. 47:00 Changing your neurochemistry with gratitude. 49:30- Buddha’s Brain, the functions and evolution of our brain. 54:00- How buddhism drew Dr. Hanson to psychology and personal development. 57:00- Inclusion, why you need to stop compartmentalizing and open up to others. 1:01:50- Dr. Hanson’s advice to live your greatest life NOW! 1:05:30- Finding the positive when you are in a negative circumstance. 1:06:45- Ben’s favorite term “Equanimity” aka staying calm in difficult circumstances. 1:09:30- Rick’s 10 minute daily meditation and gratitude practice.